The devil’s in the details, especially when it comes to a car insurance reform plan that’s being pushed on the entire State of Michigan by Detroit’s mayor who’s up for re-election and is desperate to make good on his promise from his first campaign to lower Detroiter’s auto insurance rates. The bill, HB 5013, with the specific details of the Driver’s Choice Insurance Reform plan, was subsequently introduced in the Michigan Legislature. Given Mayor Duggan’s track record with the horrendous and thankfully failed D-Insurance, as an auto accident attorney who regularly analyzes and blogs about issues related to No Fault auto insurance reform, I’m naturally and justifiably suspicious about any auto insurance reform plan he’s backing — even if he has gotten a buy-in from the House Speaker Tom Leonard (R-DeWitt). But if today’s release of information to the media is any indication, Michigan had better think long and hard about whether it wants Detroit’s up-for-re-election mayor as its designated driver on reforming the entire state’s No Fault car insurance system. We may find ourselves in a ditch or, worse yet, going over a cliff. 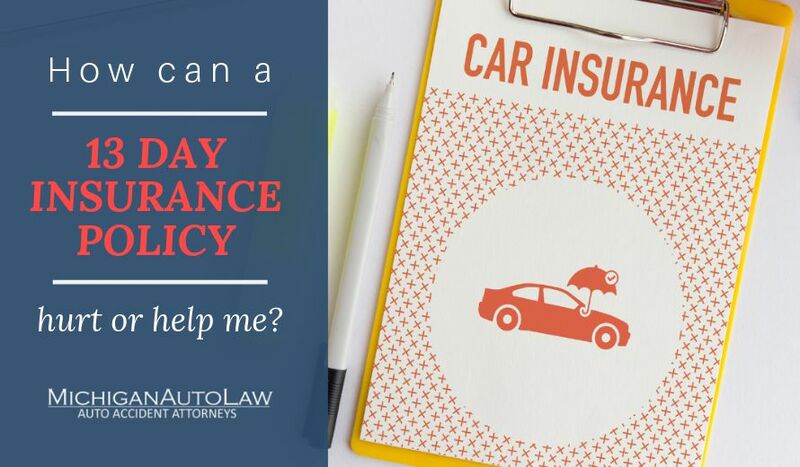 Will drivers save money under Duggan & Leonard’s car insurance plan? Require insurers “to roll back rates” “to reduce Michigan drivers’ car insurance bills an average of 20%” “for people who select the new plans,” which involves caps on No Fault benefits. Senate Majority Leader Arlan Meekhof (R-West Olive) has publicly stated that such mandatory rate rollbacks would be “dead on arrival” in the Senate. Michigan drivers would still be paying the 2nd highest auto insurance rates in the country, even if their existing premiums were reduced 20%, according to 2017 Insure.com rate data. After the first rate rollback, insurers could start increasing rates, again, the next year — albeit subject to regulation for only 5 years. And who would do the regulating and according to what standards? Are No Fault benefits capped under the Duggan-Leonard car insurance reform plan? In contrast to No Fault’s long-standing, existing guarantee of unlimited lifetime benefits, the plan would give drivers the option of keeping “unlimited” (which necessarily includes catastrophic coverage) or capping their benefits at either $250,000 or $500,000. So what happens to car crash victims whose medical expenses exceed the caps? Are they out of luck? Health insurance (assuming victims have it) and Medicare/Medicaid aren’t the safety net that politicians paint them out to be because they have “auto exclusions” and coverage limitations on products, services and accommodations that No Fault readily covers. Plus, we don’t know if the Duggan-Leonard plan will allow victims to include a claim for “excess” medical (i.e., medical expenses that exceed the No Fault cap that was chosen) in their third-party case for pain and suffering compensation. Is the Duggan & Leonard car insurance reform fee schedule too low? According to the Driver’s Choice Insurance page and the Gongwer News Service, the reform plan from Duggan and Leonard includes a “fee schedule for health services” that would be 125%-100% of Medicare. As I’ve said before, I support a No Fault medical-provider fee schedule that is set at 185% of the Michigan Worker’s Compensation fee schedule — the same position that has been compellingly advanced by the Coalition Protecting Auto No-Fault (CPAN). To the extent that the Driver’s Choice Insurance page is correct that “[l]awsuits over auto crashes are exploding across the state,” Michigan No Fault auto insurance companies only have themselves to blame. That’s because denials and cut-offs of No Fault benefits to car crash victims have been exploding — spiking 236% — and lawsuits are the only way for auto accident victims to force recalcitrant, bad faith insurers to pay what they legally owe. What’s missing from the fraud authority in Duggan and Leonard’s car insurance reform plan? Unfortunately, the “[a]nti-fraud measures” touted by the Driver’s Choice Insurance page fail to include and, thus, ignore fraud, unfair claims practices and wrongdoing by auto insurance companies. Should car insurance reform promise rebates from excess MCCA funds? It may sound good, but it’s not. The last time the MCCA attempted a “surplus return” to drivers in 1998, the results proved disastrous and the effects are still being felt today. In Insurance Bulletin 98-01, issued on April 10, 1998, the MCCA announced it had $1.2 billion in surplus funds and, thus, it would order a “return of surplus” to drivers in the amount of $180 per vehicle. But, then, in 2001, the era of the MCCA deficits started and it hasn’t stopped since. Nine of the 14 years between 2001 and 2014 have been marked by billion-dollar MCCA deficits, ranging from $1 billion to $2.5 billion. In 2015, the MCCA’s deficit came in at $690,932,000, but, then, it jumped to $1,741,430,000 in 2016.